The Xbox One’s backwards compatibility list now boasts hundreds of games, and fans of first-person action games will be happy to know that one of the top video game releases of 2007 has now hit the list. 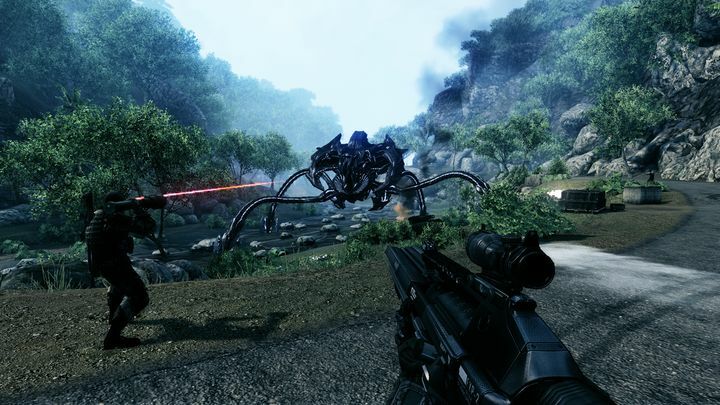 This is none other than Crysis, a game released for PC in late 2007 which quickly became famous for bringing the most powerful computers to their knees, thanks to its cutting-edge visuals and technology. Actually, few people at the time thought the game would ever see a console release, but game developer Crytek did the seemingly impossible and released the game on Xbox 360 in 2011. And while this did not look quite as gorgeous as the PC original, it did retain its great sandbox gameplay and large open levels. Wearing a high-tech nanosuit that lets you turn invisible, enjoy superhuman strength and speed, you have many ways to dispatch your enemies. Lunging heavy objects at a hapless enemy soldier, approaching from behind while cloaked and pushing an enemy into a ravine, or stalking opponents in the jungle Predator-style are all valid options here, as it’s clear that Crysis’ gameplay still holds up after all these years. Aside from the original game, Crysis 2 and Crysis 3 have also been added to the Xbox One’s backwards compatibility list, meaning the whole trilogy can now be played on Microsoft’s current-gen console. As usual, if you own any of the Crysis games all you need to do is pop in the disc and wait for the installation process to complete before playing, while any digital editions you own will show up in the Xbox One’s “Ready to Download” section as well. Those ready to take the plunge and buy into the Crysis series can also make the purchase from Microsoft’s online store too. Either way, it surely is a great thing for Xbox One owners that the console’s backwards compatibility list keeps growing, with Microsoft recently adding the likes of Call of Juarez and Metal Gear Solid 2 and 3 to the list, and more Xbox 360 titles likely hitting the list in what remains of 2018.